The Empowered Voices choir will also be continuing. This choir is more informal and perfect for beginning choral singers. 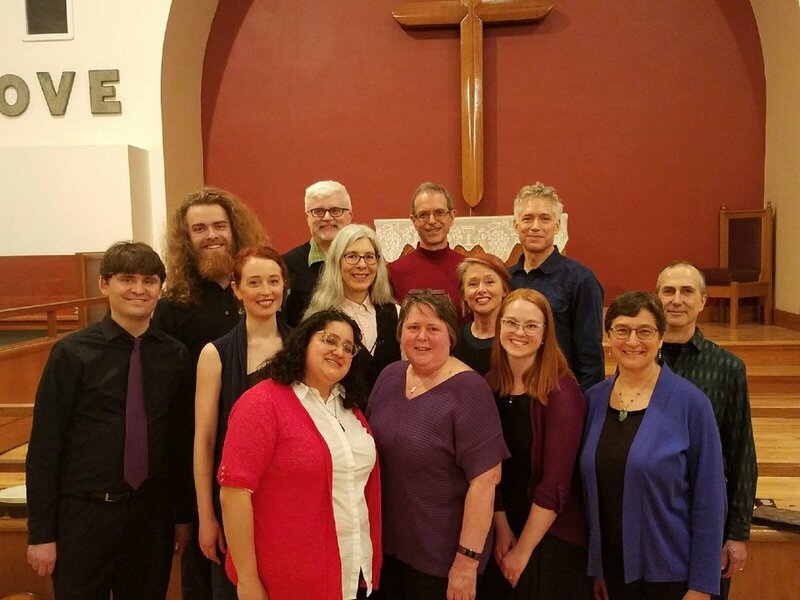 This choir will meet Thursday evenings starting October 4th, from 7:30 to 9pm at he Community Church for Joy, 8051 SE 16th Ave, Portland,OR 97202 - come experience the joy of singing with others in community! Upon submitting this form, the "person paying the student's tuition" (noted above) becomes responsible for the total cost of the classes selected. The total amount due is indicated at the bottom of this form. I will make a check payment prior to or when I arrive to my first class. I will make a PayPal payment upon submission of this form. Would you like us to sign you up for our periodic email newsletter on upcoming classes, workshops, or other events? Would you like to volunteer your time and talents at Vox Academy? TERMS AND CONDITIONS: All classes are to be paid in full on or before the first day of class. REFUND POLICY: If a student wishes to withdraw from a class, we require written or email notice to the office (voice@voxacademy.org). Students who submit notice of withdrawal up to one week before the class begins will receive a 100% refund. Students who submit notice of withdrawal up to 24 hours after the first class session will receive an 80% refund. If a student does not provide written notification of the intent to drop a class during this required period, the student forfeits the opportunity to receive a tuition refund. There is no refund or make up for class sessions that the student misses. If you need to miss a class session, we invite you to consider registering for a single Private Lesson with your teacher for an additional fee to make up the class material. We reserve the right to charge monthly late fees of $25 when accounts are overdue, and to deny services until your account balance is paid in full. If you are paying by check, please make your check payable to Vox Academy and put it in the mail or bring it to the office at: Vox Academy at Waverly UCC 3300 SE Woodward St. Portland, OR 97202. Thank you! You have registered for Empowering Women's Voices! Please use the PayPal button below to make a payment for this registration!